When it comes to metal component manufacturing, Kenro Metal Services has a great reputation for providing the best quality products and services in the industry. The company specializes in steel processing, welding, fabrication and all other parts of component manufacturing. Its services include pressing and stamping, cutting and punching, sheet metal work, machining, bending and folding, laser and profile cutting. In addition to providing great products and services, Kenro has created and maintained very important relationships in various Australian industries such as building and construction, electricity, fencing and security. Why should you trust Kenro Metal Services to handle your next metal work project? This Australian company has been in business for more than 30 years. Not only does the company have the experience to get metal products to you in a timely manner, but it also has the latest top-of-the-line facilities and equipment to provide you with the best products and services in the metal cutting industry. Kenro has a radius-end cropping system that makes it possible for the company to shear flat bar components with curved ends — much cheaper than profile cutting. This is just one of the ways in which they stay ahead of the competition. In addition to being able to cut your metal products exactly to your requirements, the company can also add protective coatings to them as well. Kenro can galvanise, electroplate, paint or powder-coat your products to create a finished product. Kenro Metal Services sells quality products and provides top-notch services. The company has built strong relationships with many different industries over the years, so they understand many of needs and concerns that these industries may have. This is why Kenro is adamant about making sure that your products arrive on time according to your exact specifications. In addition, these products will usually fit nicely into your company budget. The company understands that quality, time and money are very important to each and every manufacturer and wholesaler. This is why the company has a credible reputation for providing quality metal fabrication products all over Australia. There are different types of metal cutting. Plasma cutting uses a plasma torch, electricity and an inert gas to cut metals. It is ideal for cutting thicker pieces of metals. Water jet cutting involves using abrasives and high-pressure water to cut any shape out of metal. It is a good method if you have materials that cannot be exposed to heat. However, metal laser cutting is generally considered to be the best form of profile cutting. Kenro offers cost-effective solutions using laser cutting technology. It involves using a laser beam to cut metal into different shapes and sizes. Laser cutting offers precision, and speed, which is something that Kenro prides itself on offering! Kenro Metal Services has the expertise and experience to handle any type of metal cutting project that your company may have. 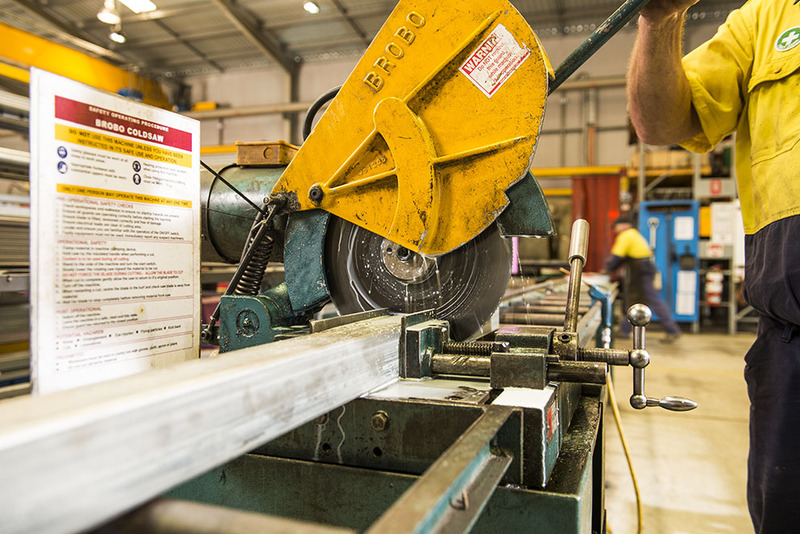 They are fast becoming one of Australia’s best metal component manufacturers.